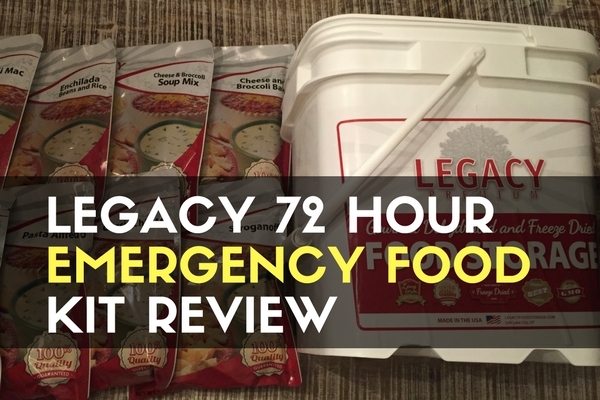 The Legacy 72 Hour Emergency Food Kit is a prepackaged food storage solution distributed by Legacy Food Storage, a leader in long term food storage kits. Is is one of many offerings from them and includes 8 of their 19 available entrees for variety. All Legacy ingredients are Non-GMO and they also offer gluten free and cook-in-the-pouch options. The 72 Hour Kit provides well over 10,000 calories in a small, portable, and stackable container. The pouches cook quickly and require only a heat source, pot, water, and a spoon. The 72 Hour Kit has a lot going for it. The small bucket that is included is stackable, and has a molded square bottom and top so that the buckets can ‘nest’ within each other. This is important for food storage, since you need them to be secure through the many situations that could be thrown at it, including earthquakes. Once you pop the seal on the bucket, you can still close it and reuse it although it won’t be air tight. The mylar pouches are stored inside the bucket and are sealed well. They are nitrogen flushed and sealed with an oxygen absorber in each pouch, which makes them have one of the lowest oxygen levels for long term food storage on the market. This lets them store the food without preservatives and have a crazy long shelf life of 25+ years. Some people say the cost of the bucket is a little high. It may seem high for a small bucket, but it is a great deal if you calculate the calories per dollar. Not to mention it is very well priced for a pre-packaged food storage solution that will last you a quarter century! It’s a responsible investment in your family and your future. I’ve spent more money eating at restaurants, where I could of been improving my food storage and had plenty left over. 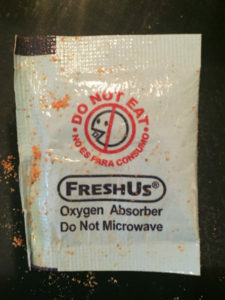 In the military, I always ‘spruced up’ my MREs with hot sauce, salt, etc. On this taste test I planned to do the same, but decided to try it without any extra help. Not bad! I gave it an 8/10. Better tasting than the Chili Mac MRE, and the wife agreed. I added some chili flakes, hot sauce, and a dollop of sour cream and between the two of us we put down the entire pouch. In an emergency situation, you may want to ration your calories a little better than we did, but we did a lot of work in the yard so don’t judge us too hard! We definitely both liked the Chili Mac, but was glad that there is variety to the kit. 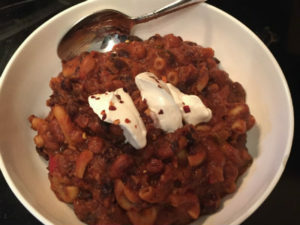 Despite the chili mac tasting good, we talked about how eating the same thing over and over during SHTF would get old quick- even if you do jazz it up with different spices. Variety is important for all food storage plans, and this dehydrated food gives you that plus a wicked long shelf life. 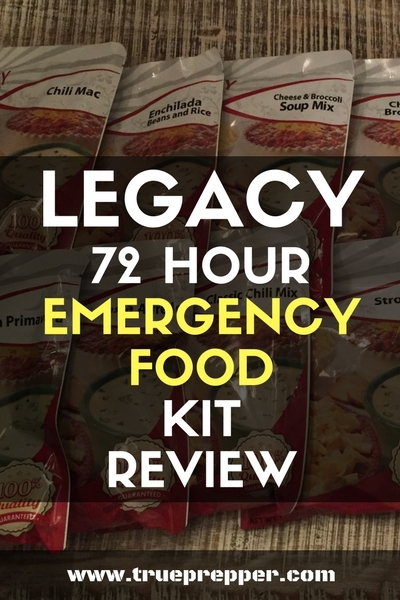 The Legacy 72 Hour Emergency Food Kit is great for just that- a 72 hour emergency. Legacy and other food storage companies offer longer term food storage solutions, and more portable food solutions for things like bug out bags. It is simply the best way to get 72 hours of food storage, a 25 year shelf life, and a great tasting product. Prepackaged food storage solutions makes preparing for disasters pretty easy, and this kit will definitely help. We recommend it here at TruePrepper, and enjoyed taste testing ours.